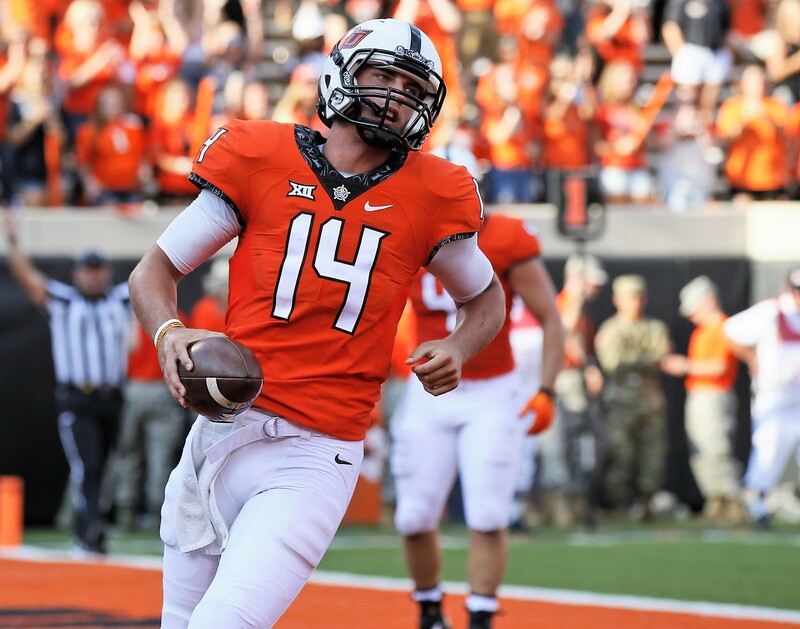 STILLWATER — Thrust into a unique situation, Oklahoma State would seem to have an uncommon urgency in 2018 to solidify its quarterback picture. The Cowboys have three players competing for the starting job. Two are seniors who have but one season to play the position. One is a true freshman who is clearly the future. Taylor Cornelius and Dru Brown have a very narrow, four-month window of opportunity to show what they can do. 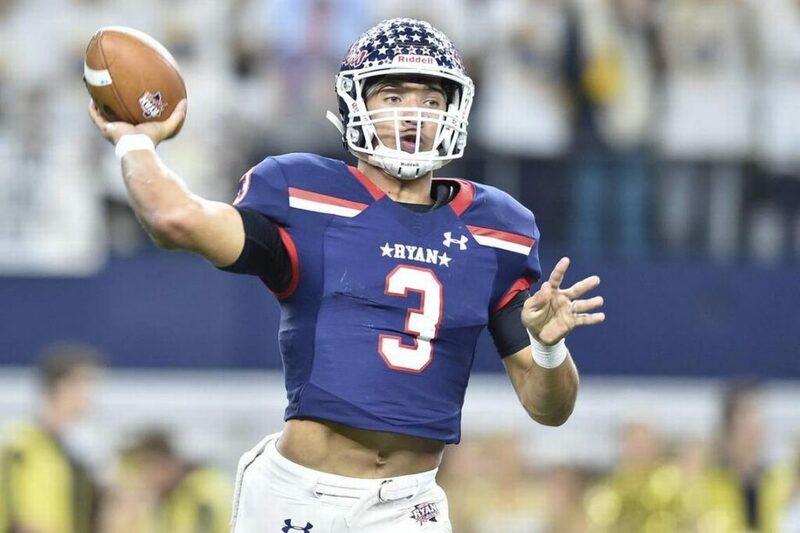 Spencer Sanders has four years, but whatever he does in 2019 probably needs to have a solid foundation in 2018. But offensive coordinator and quarterbacks coach Mike Yurcich is taking a more measured approach. 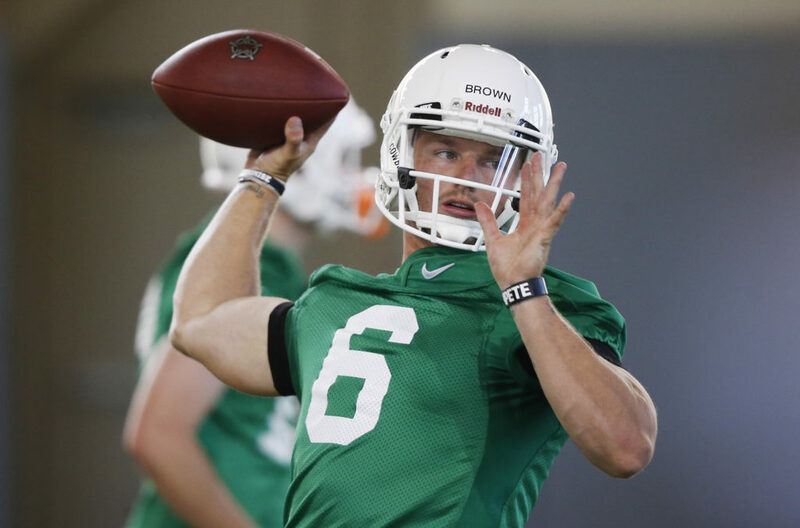 OSU started preseason practice this week, and when training camp opened, Cornelius — a fifth-year senior and former walk-on from Bushland, Texas — was the starter. But Brown, a two-year starter at Hawaii and a graduate transfer, and Sanders, the Gatorade Texas high school player of the year from Denton, are angling for snaps. During media interviews earlier this week, Yurcich was asked a question that hinted at Cornelius being the default starter simply because of his experience in Yurcich’s offense and in OSU practices. Yurcich seemed to bristle at any notion that Cornelius hasn’t earned his standing. He said he’s eager to pick Brown’s brain and he appreciates Sanders’ enthusiasm. “I’m not too proud to (ask), ‘What were you taught at Hawaii, and let me see how you think about the game” and be able to learn how his brain works and how he formulated thoughts and concepts. So that’s fun from that standpoint. He’s an awesome young man, he’s very hungry and thirsty to learn our offense. And Spencer is the same way. He’s just a gung-ho guy. He’s all football, and if he’s not playing football, he’s fishing. He’s an awesome young man. And so those guys are just, I mean, it’s a dream come true to be able to be in a room with all those guys and just to talk football and call that a job is just awesome. Cornelius is the starter, but “anything could change. Anything could change with the New England Patriots. (Tom) Brady throws 15 picks and no touchdowns, eventually there’s gonna be a change. Joe Montana got benched, guys. Right? Joe Montana got benched and they told him he’s gotta go and Steve Young had to take over.